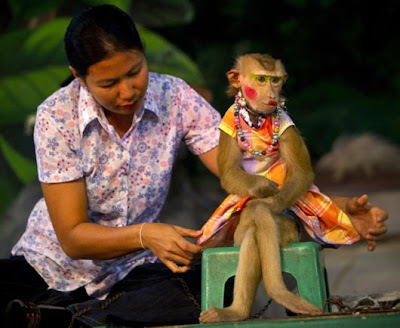 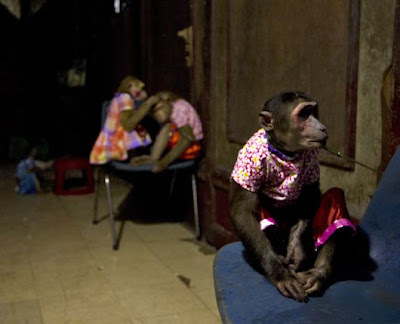 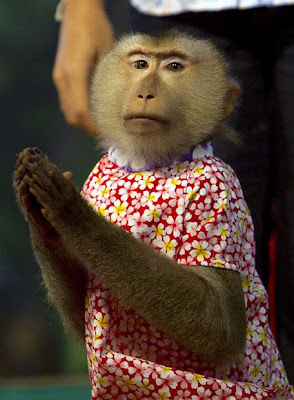 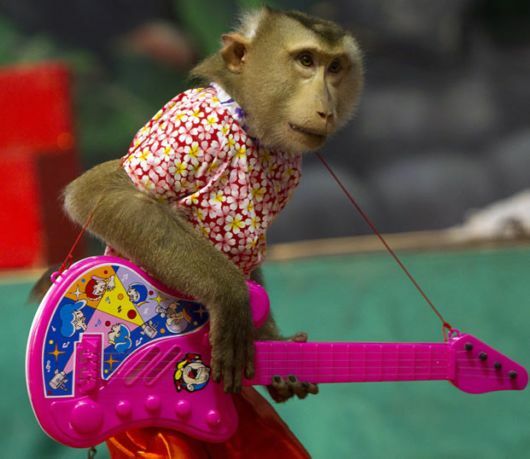 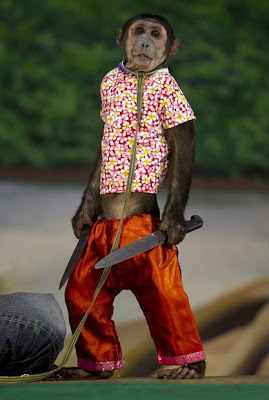 Although these pictures will look as shocking to most western people, many Thais do not see anything wrong with dressing up monkeys and make them perform. 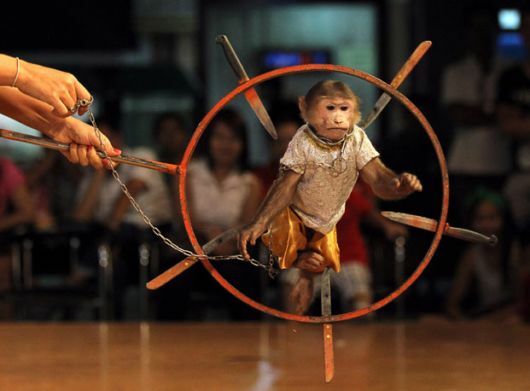 Monkey Theater has long been done in Thailand at local fairs or held in the temples during religious ceremonies. 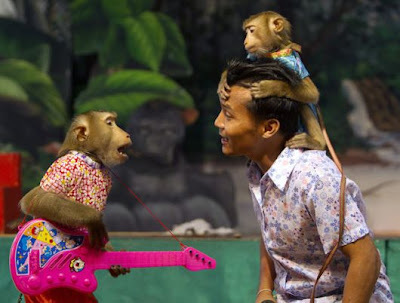 Even if it disappears from Thai society, the monkey stage now recognized as an asset of historical Thai culture. 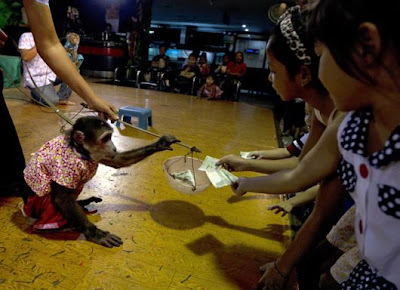 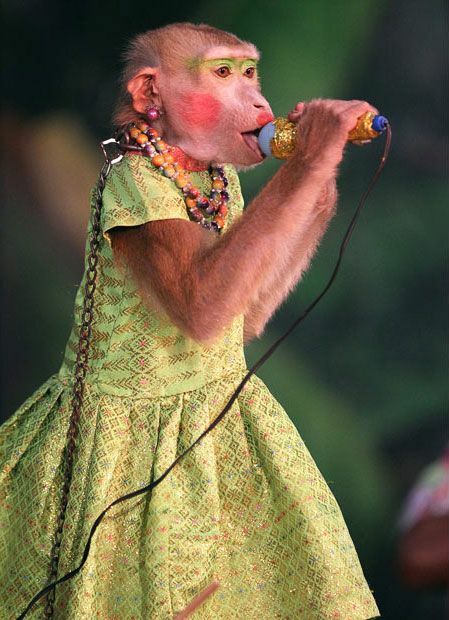 Monkey collecting money from Thai children at the end of a show.